Like in any other recruitment agency, Muovo receives tons of CVs per week. While it is our duty to classify every candidate and read her or his CV (Curriculum Vitae) carefully...some candidates just manage to stand out. If you want to apply successfully for a job, this means that you will need to show your employer that you are better suited than all the other candidates—whether there are ten or a hundred other candidates. What happens after the recruiters receive all the applications by the application deadline is, of course, the short-listing process. Depending on the size of the company and on the role on offer, you will usually need to be short-list among the first fifteen if you are to be offered an interview. This is why your CV and covering letter need to impress the employer. The following article, first published by CV Tips offers some incisive hints on how you can write down effectively your achievements in your CV. The way they presented their achievements. 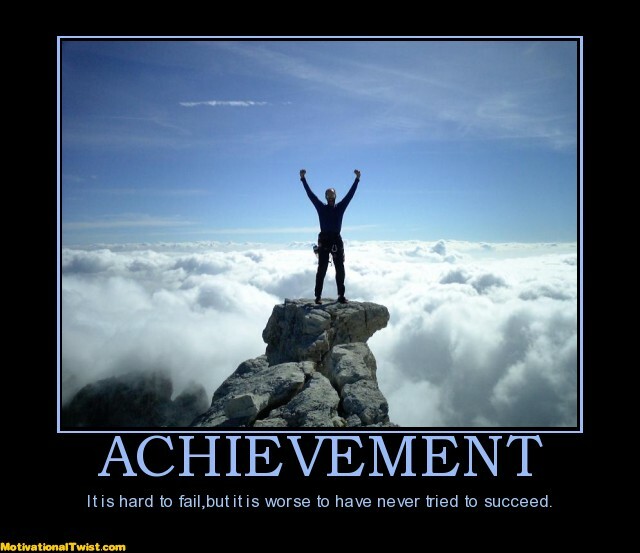 In this tutorial we will explain how you can word your achievements in a more suitable manner. 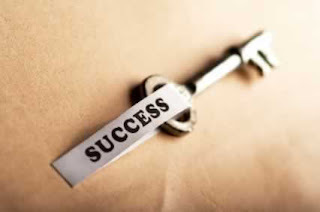 Employers are attracted to achievements because they want the applicant to repeat them in their own business. How Employers look at your Achievements? Employers want employees that will add value to their organisation. This value adding can come in the form of raising profits, reducing expenditure, improving staff morale and productivity etc. In order for you to demonstrate the value you can add to an employers business you need to detail past achievements that cover some of these 'value adding' aspects on your CV. If you can add at least six significant achievements on your CV you will have the edge over other equally qualified experienced candidates when it comes to being short-listed for an interview. So what specifically is an achievement? Achievements are the results that you personally bring about while fulfilling a certain role. It is not the same as duties that you perform as listed in your job description. Everyone with that same job has those! 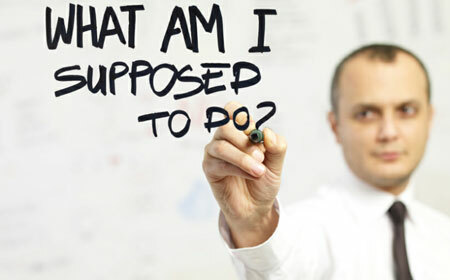 You want to identify that something extra that you did which benefited the organisation. Rather than stating that 'you were responsible for a team of 10 people', you could instead say that you 'planned, arranged and hosted a team building away day, which resulted in improved communications within the office'. Meanwhile employers are most interested in profits so identifying areas where you increased profit margins is always a good achievement to mention. As are any things which you did that were instrumental in reducing expenditure and increasing efficiency. Not all achievements have to have occurred in the workplace. You can mention your Involvement in a community project that had a positive result, or sporting achievements. By defining the objectives of a particular position, it's possible to determine the achievements that employers will value. Business objectives are very similar, but objectives in a particular position focus on specific business objectives. 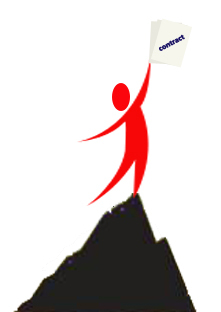 Employers are looking for achievements in specific fields. 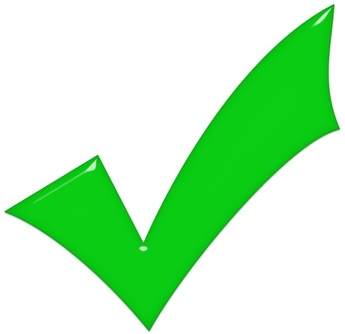 By defining the objectives that a particular position asks for you know which achievements to present. If you write about such achievements, you stand a far better chance of being invited for an interview. Skills will help but achievements are proof you can implement your skills in practice. • Describing what was used to reach the objective. • What objective was reached. Example: Used new sales channels to increase market share beyond the state borders. The result was a 25% increase in turnover for the company. An achievement statement must impress, 'increase turnover' will not get you anywhere unless you define the results, preferably with actual figures. Vague adjectives are to be avoided since they do not give a clear indication your results. 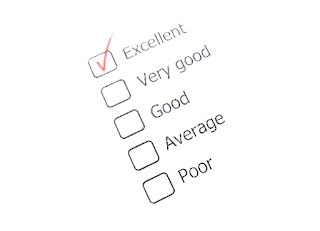 When employers read impressive achievement statements they will want to discuss this further and analyse if you can implement these achievements in their business. Securing an interview is not an easy business; you have to provide the right reasons for potential employers to want to speak to you! 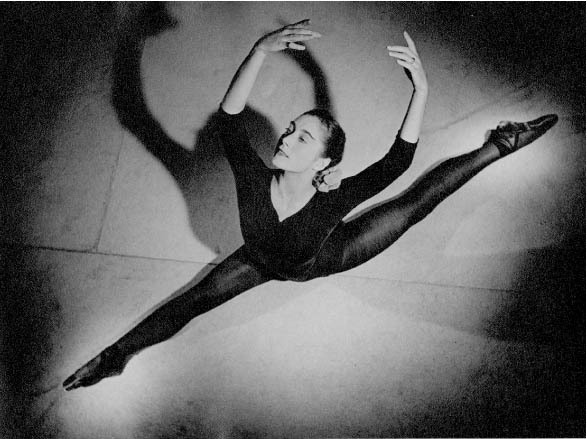 Gillian Barbara Lynne, a British ballerina who was diagnosed when she was young with what today is called as something like ADHD (Attention Deficit Hyperactivity Disorder). She performed badly at school and everyone thought that something was wrong with her. When her parents took her to a psychologist, the doctor said: ‘There is nothing wrong with your daughter. She is a dancer. 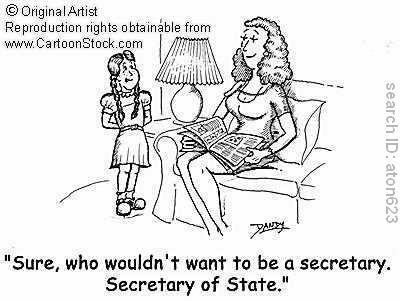 Take her to a ballet school’. That’s what her parents did. She is the choreographer of Cats musical and the famous Phantom of the Opera. Tom Cruise joined a seminary to become a priest. At 18, he abandoned this idea and decided to become an actor. In his own words, ‘I don't really keep counsel with others. I'm the kind of person who will think about something, and if I know it's right I'm not going to ask anybody. I don't go, "Boy, what do you think about this?" I've made every decision for myself - in my career, in my life’. The rest, as they say, is history. Johnny Depp worked as an over-the-phone pen salesman before he became an actor. If you’ve got some time on your hands, browse through the biographies of your favourite celebrity (or celebrities). You are likely to see that their career and fame did not happen overnight, some of them perhaps, would not have even thought twice about themselves becoming starts. For others, however, this would have been their only goal in life. Possibly, your first job will not be your dream job; it will be, on the other hand, one of many others jobs that you will be doing while you’re working yourself to the top—or wherever you are happy to be. Even YOU however can get your dream job. Muovo would like to share with you these (3 + 1) quick tips that will help you in fulfilling your goals and start living your dream. Take all the time you need to find what you are really passionate about. Study yourself and see what you enjoy reading or browsing through the Internet or watching TV. Now brainstorm about these ‘finding’ and see what jobs can be related to these activities. Interested in taking a Gap Year? Or what about doing an internship? Finding someone who is already in the field, and possibly achieved what you would like to achieve, is indispensable. Besides giving you sound advice on how you should formulate a strategic plan to achieve your goals, he or she will or can open a lot of doors for you. You will also have an ally who will be willing to recommend you when you feel ready to apply for a new opportunity. Counselling services can be provided free by many institutions. The counsellour is likely to give you a self-evaluation test with a series of questions that you would need to answer (sometimes just tick Agree or Disagree, and so on). This will give you a heads up on what career is suited for you. Of course, you would already have had some directions (albeit small!) or inclinations perhaps, towards one subject or profession. The self-assessment will reinforce and unleash these ingrained feelings. +1. Do this Career Test! Click on New User. Create a log in username and password. Go to Match Careers and start answering the questions. After a set of questions, the test will ask you to either go straight for the results or else to continue answering more likes and dislikes. The more questions you answer, the more reliable the test results would be. Contact us at Muovo if you need any help. We delight in building and sustaining our relationships with you! 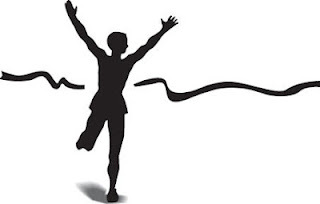 The Great Blog Post: How to Become a Great Achiever! Paul Arden in his best-selling 2003 book entitled It's Not How Good You Are, It's How Good You Want to Be, claims that everyone has a vision that he or she needs to follow in order to become Great. No one is born perfect but everyone can achieve her or his own Greatness. Muovo strives to encourage all our candidates to unleash their Great potential. Forbes writes the following 5 tips as the hallmarks of great achievers; all of us should follow these tips if we are to make of ourselves that 'higher' person that we have always wanted to be. Another hallmark of respected achievers is that they do what they say they’ll do. They don’t spin out an elaborate vision, get others to buy into it, and then run off to the next big idea because it has sparked their interest more than the first. While nurturing multiple visions is fine (assuming they are manageable), the respected achiever sets a high standard for herself or himself that what they commit to do on a project, they fully intend to do and will make every reasonable effort to make it happen. Granted, failure or unforeseen circumstances are always a possibility, but those are the exceptions. The respected achievers’ standard of following through is consistently maintained whether or not adversity materializes, and others know that when they collaborate with a respected achiever it won’t be a waste of their time. One less-than-admirable trait of many driven people is that they’re good at figuring out how to avoid taking responsibility for what went wrong. If that means throwing someone under the proverbial bus, so be it. Better him than me. 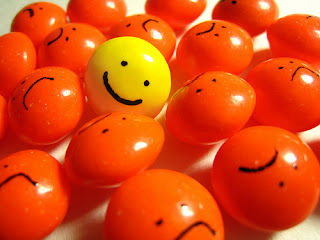 But the respected achiever sees things differently in a couple of ways. First, if something went wrong due to a mistake made by the team, the respected achiever owns responsibility whether or not other team members do the same. Why? Because teams are essentially organizations structured to accomplish specific goals, and if those goals aren’t reached, then the team (not any one person) owns the blame, because the team (not any one person) was given the responsibility to succeed. Respected achievers own their role on the team instead of trying to explain why their responsibility should be less than that of the others’. Second, respected achievers are intuitively reciprocal people – they treat others in the manner they wish to be treated. Their embodiment of the “Golden Rule” is not situational; it’s a consistently applied maxim that guides their behaviour. • What format will it take? 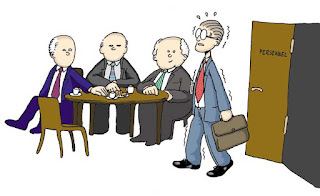 Is it a formal or informal meeting? • Will there be any tests or group exercises? • Do I need to bring or prepare anything specific? The interview invitation in itself is likely to provide you with the above information. If it does not, however, call the organisation and ask for it. Ensure that you check the date and time of your interview. Figure out how you will get to the venue and how long the journey takes, especially if you are using public transport. Check for any planned disruptions to road or public transport services and aim to arrive early, rather than rushing in late. This is especially important for assessment centres, where the day runs to a tight schedule. On the day, make sure you have the interview invitation letter and a copy of your CV, cover letter and application form if you used one. You will need notes of the key points you want to make and the questions you want to ask during the interview. Take some cash in case you need to get a taxi at the last minute or some other unforeseen expenditure. Decide on your outfit well in advance; ideally it should be a suit or equivalent business wear. Ensure it is ironed and ready to wear. Have a second outfit as a back-up and ensure your shoes are clean. Personal grooming is essential and you should avoid wearing overpowering fragrance. It is probably best to avoid alcohol the night before the interview and smokers should resist the temptation to have a cigarette on the way to or while waiting for an interview. Give someone all the details of where you are going and when you expect to return. In the unlikely event that you are invited to a private residence bring someone with you and have them wait for you outside the venue. If you are being interviewed for a job that was advertised, use the job description as a guideline as to what you’ll be asked about in terms of your personality, skills, work experience and qualifications. Other candidates may have similar abilities, employment and academic experience to you. Think about how you might distinguish yourself. It is possible to highlight all of your strengths without sounding over-confident or aggressive. Know everything you can about the job on offer including the job and/or person specification. Search the web for profiles of employees who hold the same or similar roles and read the relevant occupational profiles in types of jobs. Research your prospective employer organisation. Employers will expect that you will have at least researched their website, their recruitment information and their annual report(s). Do more than this - search for media articles about it and consult industry insights for an overview of a range of employment sectors. Expect to be questioned about current affairs, about how they currently impact upon the sector in which the organisation operates and what developments are likely to impact on the organisation’s future. If you have a disability, check the physical access to the premises. Let the employer know in advance if you need any additional support in order to fulfil the requirements of the interview or assessment centre. If you do not need any special arrangements, you may choose not to disclose your disability. For help and advice on when and how to disclose a disability, you can contact SKILL (National Bureau for Students with Disabilities) or go to equal opportunities - disability. • remember that, if properly harnessed, nerves can sharpen your performance. 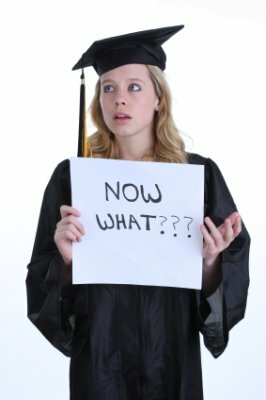 This article, first published in The Graduate Recruitment Company, serves as an excellent, light-hearted read that explains how graduates should go about on their 'job hunting process'. 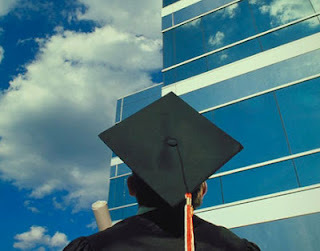 After finishing their degrees, graduates tend to feel bemused, struggling to find the path they really want to pursue, and perhaps more so, to find a job that suits their desires. Muovo urges you, both as a candidate and as as recent graduate, to think ahead, to take time to find yourself, and to try out different things until you find what you really want. Happy reading! So you have handed in your last ever essay, bound your dissertation and kissed goodbye to all the long, dreaded hours you spent at the library. What now? Well, of course, you celebrate! After the panda eyes have been wiped away, all the books have come out from under your bed and transferred to their new home (a brown box placed in the loft), you’re ready to spread your wings and bid your last farewell to your student loan and enter the real world, aka the adult world of taxes, rent and a getting a ‘proper job’. It’s also time to write that golden covering letter, edit your CV, and get yourself ‘out there’. Unfortunately, we all know how tough it is to get ‘out there’ for graduates to get a great job—but do not worry, with a little persistence, research, you can do it and Muovo will be there to assist you along the way. One way to gain vital experience would be to intern. Although you could spend a year working non-paid in one or a variety of companies, the experience and fantastic inside knowledge that you get are doubtlessly fruitful. 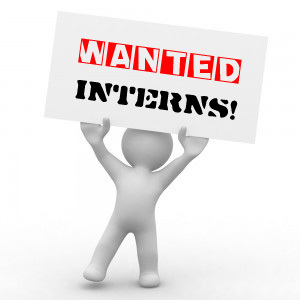 Read Why an Internship Might be Good for You! As long as your CV and covering letter is top-notch, and you are applying to relevant jobs at the right level, the next thing you are going to face is the interview, which really should be no dread at all. You need to shine your personality through and spread out your enthusiasm and flaunt your assets. Indeed, our body language in interviews is a huge indicator of how nervous or anxious you are but remember you’re either too cool for school or made out of metal if you don’t suffer from some form of nerves before an interview, so don’t worry too much – it’s human nature to be nervous and shows that you want the job. Harsh this may be, but in the first 30 seconds of the interviewer meeting you they will determine if they like you or not. Greet them with the obvious firm handshake but with also a ‘break the ice’ comment of ‘Great offices’ or ‘Lovely meeting you’. There is a difference between enthusiasm and being too excitable, so make sure you get the balance right. How do I Make a Good First Impression? Another crucial part of interview preparation is knowledge of the company. Don’t be afraid of going in with a pad of bullet points about the company you’re interviewing with and make sure you can talk with confidence about what you have found. Also make sure you read over the original job description as this will give you a head start for a ‘smashing’ interview. Make the effort and go that extra mile, hitting the interviewer with some knowledge that shows you have looked beyond the company website? You would be surprised at how many people don’t even skim the company website before their interview. Also, vocabulary is the winning and last concoction to nailing the interview; it is essentially all about 'buzz words' or technical jargon, and using the original job description words in your answers. For example, if you’re going in for a sales role using words like ‘money driven, ambitious, and confident’ will show the interviewer that you know the job jargon. Finally go into that interview with confidence, knowledge and enthusiasm and you will come out with beaming smiles. But remember job hunting is a bit like getting back on a horse, if you don’t get one interview then you will get the next, so stay positive and you will get there. The first days at work are always known for the impact that the new employee has upon his or her new colleagues. From these early stages, we start categorising people, forming our perceptions of them and what their character might be like; we might opt for shortcuts, however, and our first impressions about people could dangerously turn into long-term perceptions and reputations. 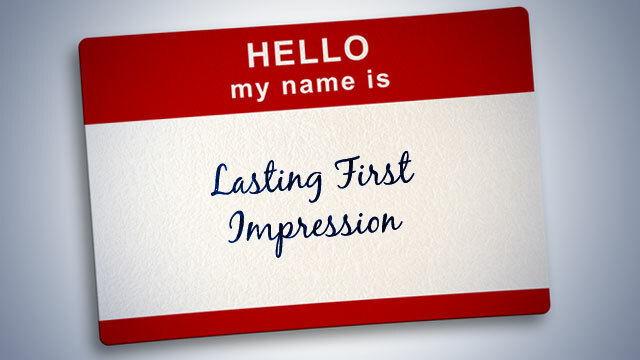 This is of course good for people who make positive first impressions (the halo effect), but bad for people who make negative first impressions. 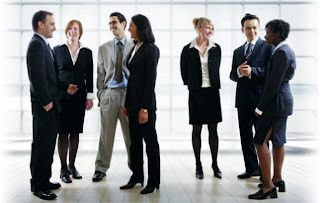 During these first few early days where you are meeting everyone, and everyone is meeting you, first impressions about you and your future potential can make a major impact on your future success with the organization. Needles to say however, first impressions do not dictate your whole career. So if you have had a negative first experience, and might have started off on a wrong foot, don't worry, there is still time to remedy! 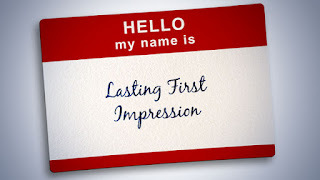 Muovo would like to share with you 20 tips that will help you make a great first impression! Nothing works better than having and expressing a positive attitude. Let your enthusiasm for being part of the team and the organization show to everyone you interact with. And always leave non-work problems at home. "Dress how you want people to perceive you because it plays a huge role in how you are initially treated," advises Desiree Devaney, a financial analyst with GE Capital Credit. "Perfectly groomed means efficient and reliable in work; unkempt means disorganized and therefore difficult to trust with different assignments. After awhile, people realize these things do not necessarily correspond, but initially, your looks and dress are your representation to them." You are now part of a work team, and teams work together to solve problems and get the job done. 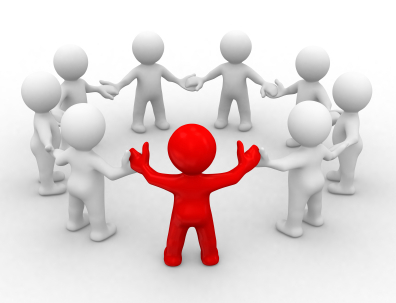 Show loyalty to your co-workers and focus more, initially at least, on sharing any recognition you get with the team. Always give credit to the team. No one expects you to have everyone's name down pat by the end of the first day or week, but if you are bad with names, now is the time to research some of the neat memory-aid tricks you can try to use. Certainly, as soon as possible, learn the names of every member of your team. And if you are in a situation in which you forget a person's name, the best solution is simply to apologise and ask the person's name again. No one expects you to solve all the organisation's problems on your first days on the job — nor that you know everything — so, relax a bit, and always ask questions or ask for help when you need it. Remember that it's better to ask before you've completed the task the wrong way and wasted all that time. "Be open-minded," suggests an English language and literature grad. "I think when you are just starting out, it is easy to feel somewhat competitive; you may feel that you have something to prove. In effect, that kind of thinking will probably land you in the unemployment line again. Be co-operative, LISTEN, ask questions — no one expects you to know everything -- and communicate openly with colleagues and supervisors." Unless you have a photographic memory, and few of us do, consider taking notes on all the various systems and rules of the organisation. And no matter how boring they may sound, attend all orientation sessions. Nothing gets old faster than someone repeatedly asking how something works; such behavior shows a lack of attention to detail. In most situations, in your first days on the job, you will be given small doses of work -- to let you get your feet wet. As you finish assignments and are ready to handle a bigger workload, take the initiative and ask for more assignments. Whatever you do, don't just sit there waiting for your next project. Agrees Ali von Staudach, senior account executive for CNET Networks, "Be proactive. Don't wait for an assignment. Stick up your hand and ask for something to do," advises von Staudach, a communication studies graduate. In theory, you should have already done your homework during the interviewing process, but there is always more to learn now that you are on the inside. "Get an employee handbook" exhorts a MBA grad with an information-technology concentration. "Don't act or think you know more about everything than your peers." In addition, gather all those reports and company literature and read up and become an expert on your organisation. There's nothing that can affect your reputation faster than routinely coming into work late or leaving work early. Especially in these first days or weeks on the job, be sure you get to work early and leave no earlier than when the majority of your co-workers leave. An engineering graduate says, "Be dedicated and flexible. Once you have established yourself, you can leave early, go out for lunch, shift your hours, or take work home with you. But in the beginning, be totally dedicated to being there all the time and picking up as much as you can possibly handle." Many organisations have formal or informal after-hour activities, such as sports leagues. Get involved, even if only as a cheerleader, because these types of activities are great ways to bond with your co-workers. Do be on your best behavior during these outside-work activities, though. "If attending happy hours with co-workers, never drink more than one drink," suggests Anne Johnson, senior corporate relations coordinator for the U.S. Chamber of Commerce. Johnson, an economics grad from the University of Dallas, goes on to recall, "A co-worker that started about four months after me came to a happy hour with us and had too much to drink. Now, no one will invite her again. You don't want to make a stupid mistake like that." 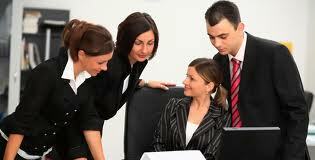 As with any social organization, the workplace is full of rumors and gossip. Your mission is to keep your nose clean of all of it, and be sure not to associate too often with the office gossips or risk having your image associated with them. "DO NOT get involved in any trash talking around the office," says an English education graduate. "Don't repeat; don't solicit gossip." Magennis agrees, "Stay out of the office politics for as long as possible," he says. "It's inevitable that you will be exposed to them sooner or later, and you will most likely participate in them as well as it's human nature. But stay out of the game for the first few months." Studies show that just about everyone conducts some amount of personal business on company time, checking email, making dinner reservations, buying stuff online. Your goal is to keep your personal business to a minimum and stay focused on work. Just as with working full days, it's important to show up to work every day and establish a good attendance record. Yes, there will be emergencies, and yes, you may get sick, but as best you can, try to make it to work every day during those first weeks or months on the job. "Listen, Listen, Listen . . . don't act like a know-it-all right off the bat," cautions one entry-level worker. "The idea is to communicate that you have some very marketable skills and you are here to learn and apply your skills to help the organisation achieve success." You don't want to get the reputation as the office know-it-all, or worse, someone who always has to have the limelight. If you have a legitimate contribution, make it, but if not, do more listening and absorbing those first days on the job. Tracking your accomplishments is great for any number of reasons, for your personal satisfaction, for raise and promotion meetings, and for future job-hunting. Nothing works like kindness and genuine appreciation. Show your appreciation to everyone who helps you learn the ropes during your first days on the job, from your co-workers to receptionists to the human resources folks. You don't need to jump on this task on your first day, but as you get introduced to senior staff, begin thinking about developing a mentoring relationship with a member of management above you, and outside your department, in the organisation. Mentoring has numerous benefits, from a simple sounding board to someone who helps direct and advance your career within the organization. If you're one of those super-organised people, this tip will be easy for you. The rest of us, however, need to develop a system for keeping track of meetings, appointments, assignments, and projects. Get an organiser or planner and keep on top of all your work. You certainly don't want to miss an early key deadline or meeting. 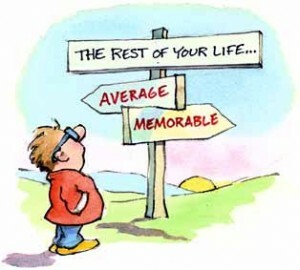 And as you look ahead, set goals for yourself, and then strive to achieve them. "I set goals for myself," notes a 2001 education graduate. "I wanted to appear professional in my dress, posture, and speech. I wrote that goal on index cards and put them everywhere." Your boss is not a mind-reader, so keep her or him informed of how you are doing. Especially in those early days, meet with your boss to further establish a rapport and relationship. 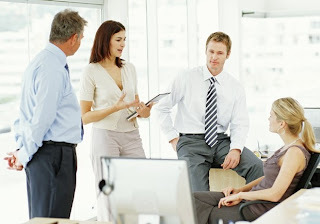 "Request meetings with your boss on a consistent basis to review performance. Express interest in moving ahead and ask what else you can be doing to get to that next step," advises von Staudach. Be sure he or she knows you are a self-starter and hard-worker. Just don't bring the boss every little problem; instead, for minor issues, ask for help from co-workers. "Network," advises von Staudach. "Join an organisation outside of work. Take additional classes to stay ahead in your field. Take advantage of every opportunity to network with key people in your organization and profession, attend staff meetings, professional organisation conferences, trade shows, every opportunity to meet colleagues in your field. Just because you have a new job does not mean you suspend your network; constantly manage and grow your network of contacts because you never know when a problem or opportunity will arise. And networking with key people can also help you in finding one or more mentors. Being the newest member of the organisation, the 'rookie', is both challenging and exciting. These 20 tips should help provide you with some insights and direction as you approach that new job. Don't worry however if you don't make a perfect first impression in these early days on the job. Remember to relax, keep your mind (and ears) wide open, get to know your team members, and do your tasks as best as you could, and you should go far in making a lasting impression and building a good, solid reputation for yourself. Do you dread waking up in the morning, gulping down two full cups of coffee in a futile attempt to gear up some motivation to go to work? Do you feel your heart beating and beating, with butterflies in your stomach, making you feel all the more exhausted before the day has even started? If your answer is yes, then you should consider changing your job or career. 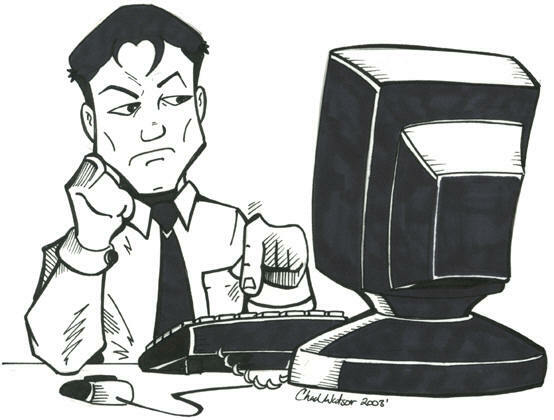 Muovo would like to share with you the following article, first published by onlinecollege.org, which outlines the 10 hidden reasons why workers might hate their job. Read on! If you're finishing assignments quickly, don't find them particularly challenging, or just don't have enough to do at work, it likely isn't helping your morale. While some people might think a job that requires little of them would be ideal, the reality for most people is that a job that doesn't ask much is just plain boring. You might not even realize how bored you are at your job until you really stop to think about it. Boredom is one of the easiest gripes with work to remedy, however, as you can challenge yourself to take classes, work on your own projects, or simply start looking for a job that's more engaging with all that free time you have. Living in constant fear that you'll be laid off, demoted, or pushed out of your current position can lead to a whole lot of workplace stress which, in turn, can make you generally miserable at work and everywhere else. With the economy struggling and many businesses cutting back, this may be a bigger concern for many employees than ever before, and one that you may not even realize is constantly in the back of your mind. Fear can shape your decisions, destroy balance in your life, and might even make you start to resent the power your boss has over your life. Learn to realize you can only control so much in your life, do your best at your job, and start creating a backup plan just in case the worst really does happen. People often don't realize how many of their bad habits are tied to work. Afternoon snacking? 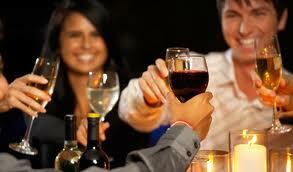 Happy hour binge drinking? Lack of sleep? Skipping workouts? All of these things, and many others, can be tied to a workplace that is overly stressful and demanding. While you might notice the stress, you may not notice just how much your work is impacting other areas of your life, destroying your health, relationships, or work-life balance. When stress and bad habits are coupled with an office environment that promotes your bad habits, things get even worse. This often leads to you beating yourself up about not breaking those bad habits, many of which are tied directly to issues at work, which ultimately results in you disliking your job. One of the reasons you may hate your job is because your job simply doesn't give much back to you. If there's no prospect of advancement, and no chance to grow, develop, and learn as an employee, you're bound to feel frustrated and unhappy. The ideal job should give back as much as you put in, and if your workplace doesn't offer this kind of payback, it could be weighing more heavily on you than you realize. If this is one of the underlying reasons you hate your job, it may be time to start looking for a new one or finding new ways to push yourself at work. 5. There is no reward for hard work. Do you put in long hours, work extra hard, do your best, and still never get so much as a word of thanks from your boss or coworkers? While you can't expect to get high praise (or a raise) for everything you do at work, we all want to feel like what we do matters. If your job isn't making you feel valued, even if you're helping to push the company forward or developing great products, then it's almost impossible to be happy working in that position. If your company doesn't value you, then it might be time to move on. For some, the workaholic lifestyle is great, but for the rest of us, spending every waking hour at work, thinking about work, or tied to the office isn't a good thing. Even if you like your job, you may begin to resent its imposition on your personal life, especially if it means missing out on important events, sacrificing vacations, or just not having any time to yourself. Really think about how much time you put into work each week. It might be sucking up more of your time than you realize, which may be a big part of why you don't have much good to say about your job. 8. The company isn't a good match. Surprisingly, it can make a big difference whether or not you agree with your company's long-term goals, mission, or management policies. For instance, if you're a high-tech-focused person working for a company that is resisting the digital revolution, you might feel pretty restricted or frustrated at work. If HR policies make it hard to do your job, you're not likely to jump out of bed to get to work in the morning. Sometimes a company just isn't a good match; you just have to figure out if that's true for you and be willing to break it off if it is. Do you have to keep your values secret at work because they don't match the company values? For instance, it's pretty hard to be crazy about environmentalism when you work for a company that specializes in potentially deadly chemicals. That's an extreme example, but there are many more subtle ways that your job can be a mismatch for your personal beliefs, and that may be an impossible gap to bridge. Ultimately, something will always feel wrong, and that may lead to you hating your job. We all want to feel like we make a difference in the world, whether we're battling hunger, helping a family deal with setting up a will, or just ensuring people choose the right toaster. Ideally, jobs should offer us some sort of meaning, but if yours doesn't, then it may be a big part of the reason you hate going to work every day. This can be especially true in a large, corporate setting where you may feel like you're just another nameless person working away in a cubicle. Seek out a job that offers you some meaning in your work and see how quickly you start feeling more optimistic about going to work in the morning. On this, Muovo would like to add, 'Be happy in what you do. Success is what you manage to make out of life and be proud of it'. With Malta having 'veered back' into a recession, along with other European countries (including Italy, Greece, and Spain), creating a recession-proof CV and resume is imperative. A recession is, of course, one of the toughest times to find employment. With millions of workers seeking employment, competition is rife. Indeed, having dozens, if not hundreds, of job seekers vying for the same position, it is imperative that your CV stands out from the crowd. The good news is that job seeking during a recession doesn’t mean you can’t be hired. 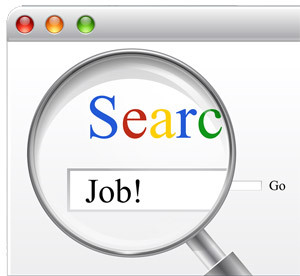 What it means is, however, that you will need to make a lot of effort to find and secure a job. A great way to increase your chances of getting hired is by creating a recession-proof resume. Muovo would like to share with you this incisive article on how to create a recession-proof CV and resume, which is bound to help ensure that you are able to find a quality job even when it seems no one is being hired, making it immune to the conditions of a recession. 1. Think from the perspective of success: It’s easy for job seekers to simply jot down a general summary of their professional background, which doesn’t give employers a good indication of how you can make a difference for them. So as you write, think about all of the successful moments of your career, then list very specific accomplishments that prove you can make the same progress with a new employer. 2. Focus on keywords and phrases: It’s important to always remember that most employers utilize resume scanning software that helps them determine almost immediately how closely your background matches their qualification requirements. To give yourself a leg up on the competition, it’s important to utilize job-specific keywords and phrases found in the job posting that show you are indeed a good match for the position. 3. Prove you’re specialty driven: If you’re applying for position as a human resources manager, for instance, it’s important that you prove you’re well trained in human resources. Take time to list your duties in action-oriented phrases, mention at least one major accomplishment per position, and be sure to highlight special training or programs you’ve been involved with that make you more qualified than other candidates. Finding employment during tough economic times is not a simple task because so many qualified candidates are submitting their resumes at the same time. But don’t let the steep competition deter you. Instead, step up your resume-writing creativity so that yours is so amazing that employers can’t help but choose you for the position. 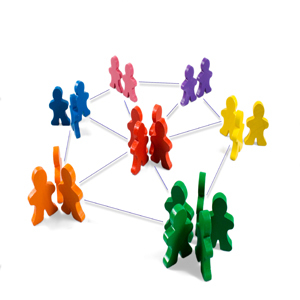 Networking, as you probably already know, involves using your existing network of friends, relative and business associates as a means of getting or generating work. The help of an exterior professional body, like Muovo, will prove as an inevitable help when it comes to getting you the right connections and thereby land you to the job and/or career your heart desires. 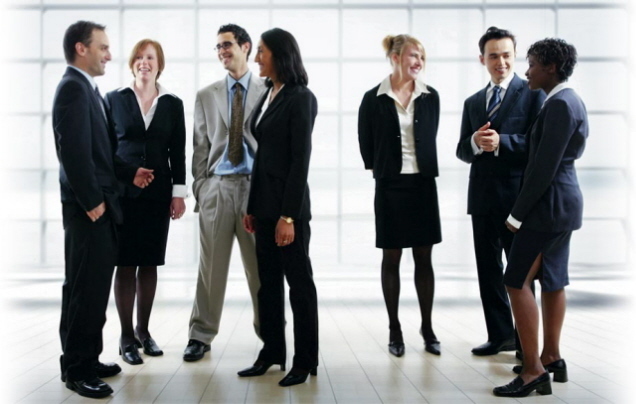 In view of the above, networking involves individuals forming mutually supportive relationships. People form networks for a variety of purposes, including of course, career advancement. Networking can help you in a variety of ways as you begin and grow your career. The following article includes sound advice to those of you who are currently looking for a new job or considering to change careers. Networking is nothing more than getting to know people. Whether you realise it or not, you’re already networking every day and everywhere you go. You are networking when you strike up a conversation with the person next to you in line, introduce yourself to other parents at your child’s school, meet a friend of a friend, catch up with a former co-worker, or stop to chat with your neighbour. Everyone you meet can help you move your job search forward. Tapping the hidden job market may take more planning and nerve than searching online, but it’s much more effective. Adopting a networking lifestyle—a lifestyle of connecting and helping others in good times and bad—will help you find the right job, make valuable connections in your chosen field, and stay focused and motivated during your job search. This is how Muovo can help you in broadening your social network by advising you on how to make the best first impressions on forming new alliances. The best race car drivers are masters of slowing down. They know that the fastest way around the track is by slowing down going into the turns, so they can accelerate sooner as they’re heading into the straightaway. As you’re networking, keep this 'Slow in, fast out' racing mantra in mind. If your networking efforts don’t seem to be going anywhere, you may need to evaluate the quality of your network. Take some time to think about your network’s strengths, weaknesses, and opportunities. 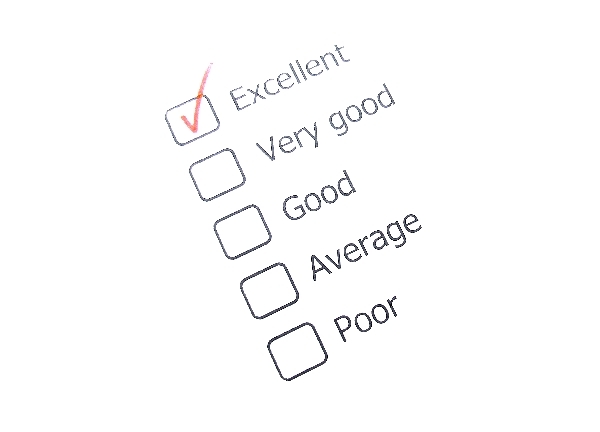 Without such an evaluation, there is little chance your network will adapt to your needs and your future goals. You may not notice how bound you are to history, or how certain connections are holding you back. And you may miss opportunities to branch out and forge new ties that will help you move forward. Taking inventory of your network and where it is lacking is time well spent. If you feel your network is out of date, then it's time to upgrade! Your mere awareness of your needs will help you connect you with new and more relevant contacts and networks. 4. Who Should Be In Your Network? Your network can be made up of almost anyone you've ever met. 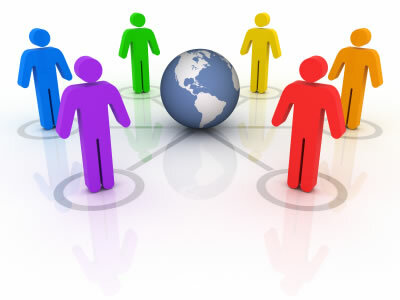 Of course not everyone is part of your active network, but each person can be welcomed into your network at some point. In turn, each person in your network has the potential of leading you to other contacts who may then become part of your network. The relations within your network are bi-directional. In other words, one hand washes the other. Don't hesitate to offer support as well as ask for it. During our informal meetings, Muovo will advise you on how to form and maintain good ties with organisations worth noting and positions applicable. Although we know that you are well aware of the plus and minuses that you possess, we also know that the task of having to articulate these traits into tangible forms, or words, could be rather difficult. That's why it is crucial to do your homework before the interview, and prepare some points that could help you go about and answer this question effectively. Interviewers, of course, are typically looking for applicants who have strengths from which their company is likely to benefit. The following article, first published by webrecruit, offers an incisive tips helping you to identify your strengths and weaknesses for a job interview. ...how do I identify my strengths? First, you need to be honest with yourself. 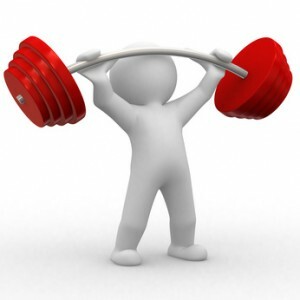 Boasting about strengths you can’t actually demonstrate will not win over any potential employers. Look over the job description and make a list of the personal strengths that will probably be required for this job. If the role is looking after customers, they’ll be looking for someone who is personable, patient and empathetic. If it’s sales, then the right candidate will be someone who’s tenacious, driven and persuasive. For each of the personal strengths necessary for the position, think of an anecdote that illustrates your strength in this regard. For example, you may have noticed a typo in a client newsletter and from then on were responsible for proofreading. Sometimes it is hard for people to do an accurate self assessment. If you’re struggling, why not take a personality test? There are numerous personality and career aptitude tests online that will help you research the honest truth about your interests and abilities. ...how do I identify my weaknesses? 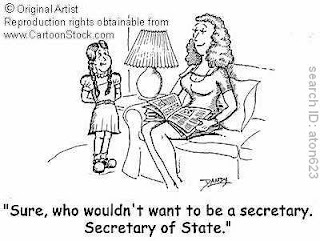 Nothing is more suspicious than a flawless candidate. Show that you’ve already learnt a few important lessons and you’ll instantly sound more experienced, hardworking, and above all else – human. Hiring managers look for candidates who have demonstrated an ability to learn and recover from mistakes. All applicants have some weaknesses, but a successful job hunter will usually adapt them to something that the interviewer regards more favourably. Demonstrate your weaknesses as something that is a problem which you have solved. For example, you might be a bit of an organisational freak, but you have learnt that by delegating tasks, you can ensure all work is completed on time. 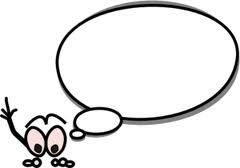 When composing your answer, be aware of giving too much information and make sure you keep it work-related. Prospective employers are not interested about how you learnt the hard way not to date your co-workers or what life taught you when your grandmother passed away. Be sure that lessons learned are relevant to the position you’re interviewing for. 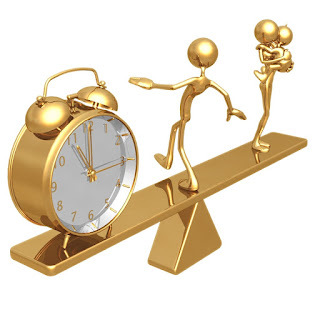 I have been reading several articles online, all of which were saying to aim for a 'work-life balance' routine. On my way to work, I usually come across several billboards displaying the 'work-life balance' premise. If you come to think of it, how plausible is it to have eight hours of work, eight hours with friends and family members, eight hours of sleep everyday...it is just not possible. We end up, then, working during the whole week and segregating ourselves from the 'social' and/or 'happy' life, which is left for Friday night and roughly finishes by Sunday evening. Such a routine already stratifies our social and/or happy life from our work life. Our personal and professional lives yet shouldn't be considered as two separate entities, working against each other, but should be seen instead as interdependent, both of which need to be contained within our daily life. This is why work-life happiness rather than work-life balance is the key to our holistic fulfillment. Work-life happiness can be achieved by anyone. Your personal life needn't be separated from your professional life. You do not have different 'lives', or different facets of yourself, as I hear a lot of people saying; who you are at work reflects who you are at home, and very often, what happens at work influences how you act at home, and vice versa. A mixture of the two then is to be implemented. 1. Find a job you love doing. Although you may say, rightly so, that it's 'easier said than done', you should never give up on happiness. If you're not satisfied with your work, or you have been feeling perhaps as if you're stuck in a rut and there's something 'empty' or not fulfilled inside of you, then don't be afraid to make a change. This is not to say that you should change jobs every time you feel unhappy or wishing to spend a day at the beach than at work, but, if the feeling of dread and lethargy does not fade away, then you should consider changing jobs, or perhaps, even careers. Reflect on what you are doing. Take all the time you need to do so. 2. Create friendships with your colleagues. Separating friendships and co-workers is a way of differentiating between your work and personal life. Although it is good to set some boundaries and enjoy the domestic sphere and the work sphere on different grounds, it would be even healthier to go out for a drink at the weekend or during the week with a colleague. It will make the atmosphere at work more friendly, and time will fly by. Of course, there are always limits. 3. Prioritise. Go out during the week! This is something that I should be doing more often. A lot of us tend to head back straight home after work, eat, wash, and sit comfortably with your cat on your lap to watch your favourite TV show. There is nothing wrong with that, and if anything, it's the most relaxing part of the day - so enjoy it! However, don't be afraid to do something different during the week. Take up a new course or a hobby, attend some aerobic classes, or play football with some friends. It is amazing how the rest of the week seems to pass by quickly, where you will be seeing it with a new pair of eyes. Prioritising what is highly important, and what can be left off for another day is necessary. Never try to be somebody else in whatever you're doing. Remember that who you truly are is what makes you great. There is always room for improvement, and you can always explore yourself and develop on different levels, but nonetheless, you at 30 is the same you at 15. Don't change identities for anyone. This will make you more productive at work, and happier, everywhere you are. If you have any other suggestions with regard to achieving work-life happiness, we'll be more than pleased to answer you! An interview is, and should be, a two-way street. Although it can be tricky to think of appropriate questions, given that the interviewer had carefully answered perhaps, and explained all the pre-determined questions, you will do yourself a great benefit if you show your interviewer that you are a creature of independent thinking. 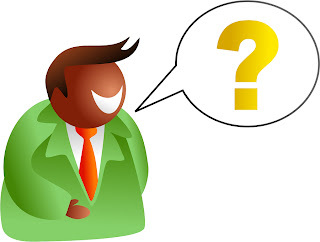 When the question comes, ‘Is there anything you would like to ask me?’, the employers are here providing a space for the interviewee to voice his or her thoughts, and thus enabling a change of roles. Having no questions at all comes across as a sign of disinterest or incuriosity from your end, or even worse, that you do not have an independent thought process. And employers don’t want that. 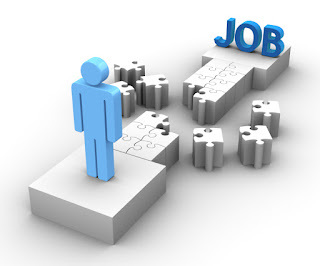 Logically, many job seekers focus try to answer the interview questions in the best, efficient logical way. However, recent research, which stands on par with the dozens of interviewees we see every week at Muovo, proves that the interviewee questions often carry more weight than the questions answered. For that reason, as an interviewee, you should prepare to ask some key questions during your interview. Needless to say, it is important not to repeat questions that have been already mentioned either by the employer himself or herself during the interviewing process, or on the company’s website. This could show that you were either not listening or did not do any sort of preparation beforehand. The job interview is the best time to find out what will be expected of you if you are hired for the position. Things change, job duties change, and workers have to adapt themselves to the changes too. You can ask to have full job description if you don’t want to be surprised later. Work Culture: You would also want to know what kind of colleagues you will be working with. In fact, this is one of the most important questions because these are the people with whom you will be spending the better part of your waking day. Future Prospects: You will want to ask about the growth of the company and the position for which you are applying. Get to know the vision of the company and its future plans and prospects. What are the position’s typical hours? Gone are the days when a workday has standard hours. With the advent of globalization, the business world has grasped the concept of 24/7. Therefore, you should ask about the typical workload. What does the company actually do? Prior to an interview, you should research the company’s mission. 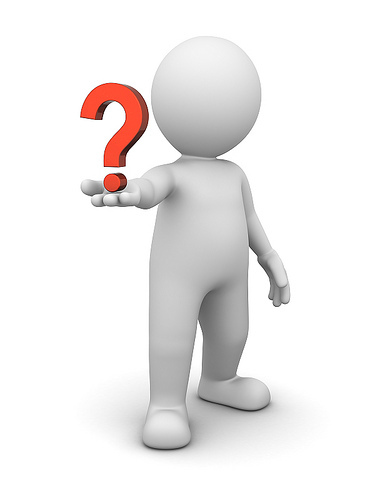 Ask informed questions related to how the company reaches its goals and how the company is structured. Hiring Practices: Be certain about the nature of your employment. Are they looking to hire a full time employee, part-time employee, or a consultant. There is a major difference between the three job profiles. Therefore, it is best to clear it out at the very outset. Salary: If you are offered the job, make sure you are completely clear on what your salary will be and what benefits come along with it. You can ask some questions related to this during the interview, but do not question to specifically until you are selected for the position. 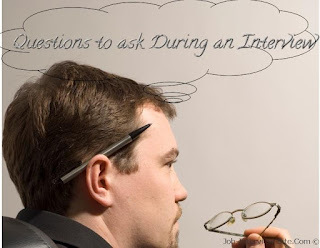 Remember, asking questions is not the task of the interviewer alone – interviewers are not being merely well-mannered when they ask you to ASK them. 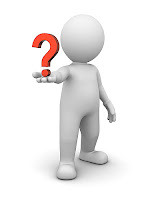 It is a way to select the best candidate, as your questions may bring to light a lot about you.